January 11th in WP Stuff by Wordpress Jedi . So you would like to encourage more people to take action on your WooCommerce site? 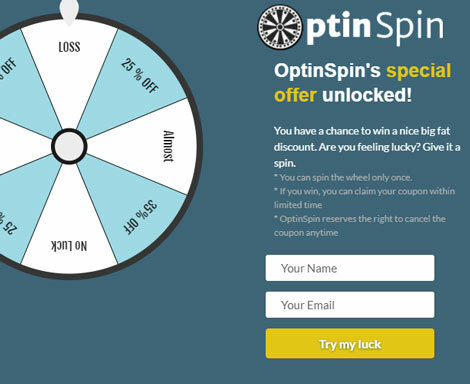 OptinSpin is worth a look. It is a wheel of fortune plugin designed to turn website visitors into subscribers. It has a fully customizable layout and lets you change color of each section. You can manage sections via drag & drop. You can use this tool to award your visitors with a coupon for your store. OptinSpin comes integrated with MailChimp, so you can grow your list faster. Want to allow your visitors to add coupons to their cart dynamically? No problem. Email templates, probability and other settings can be customized in the back-end. Thanks to this script, you will be able to track people who opt to play the game and access their details, including their IP address. OptinSpin is developed by wpexpertsio.